It’s impossible to say “heating and air conditioning” in the San Francisco Bay area and not have Schmitt come to mind. We have been a fixture of the San Francisco HVAC industry since 1901! You don’t get to be a fifth-generation family owned and operated company without doing things not only the “right way”, but by excelling in every single aspect of your business and consistently exceeding our customers’ expectations. For well over a century we have been a customer-focused business and brought the family-owned-and-operated ethic to everything we do; from HVAC installation and repair, to maintenance and sales, all of our staff at Schmitt Heating and Air Conditioning, from the people in the office to the ones on your roof, are here to help you and provide you with the best possible service you can find anywhere. Keeping computer equipment cool is an essential part of keeping it functioning. Schmitt Heating & Air Conditioning is the leader in designing and installing server room cooling solutions in the San Francisco Bay Area. 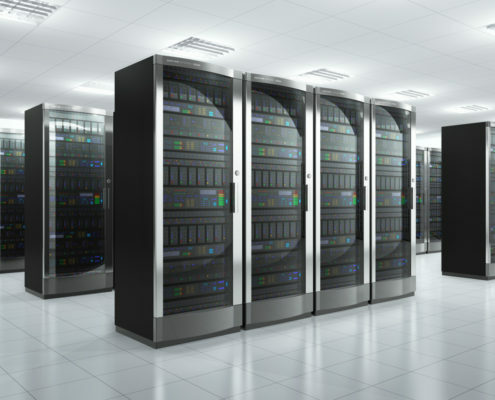 Our HVAC staff has the knowledge to design the optimal cooling solutions for your server room, wherever it happens to be located. Whether it’s inside the office, in a spare room in the warehouse, or in a mobile trailer in the parking lot – we have the equipment and know how to keep your servers icy cold and running without temperature-related downtime. With our own sheet metal shop, Schmitt Heating & Air Conditioning has the flexibility and adaptability to have all of your HVAC equipment fit perfectly. 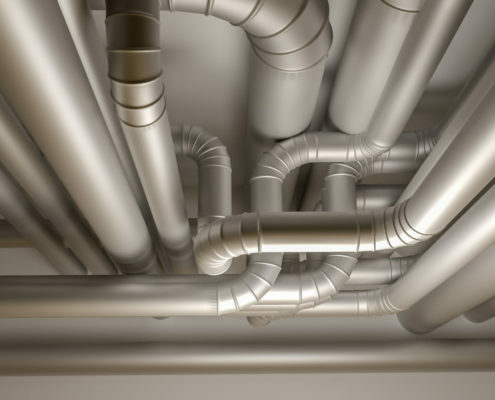 This also means we can remedy any incongruities when matching up new equipment to existing ductwork. Our metal shop can also create the custom ductwork needed for a completely new system design and implementation. Not only does having our own metal shop save you money by producing everything in-house but it means that your equipment will all be tied together perfectly. Perfect fits mean better efficiencies and more effective heating and cooling. We also work with copper, can create ornamental displays, and even skylights! 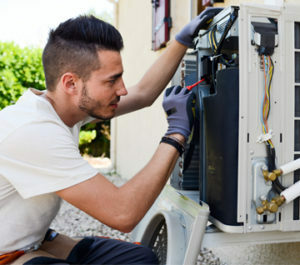 Regular maintenance of your HVAC system is the single most important factor in providing efficient service and a long life. At Schmitt, our Diamond certified technicians follow in-depth, multi-point inspections that will have your system performing at optimal levels for years to come. Not only is regular maintenance good for your HVAC system but it will also help to spot any potential issued before they become problematic. Our technicians can then present you with a number of options to take care of whatever issues that pop up. Schmitt is proud to have the skills and experience necessary to design and build custom heating and air conditioning systems. We design everything in-house which means that there is direct communication between the HVAC designers and the technicians. Customer designs let you have the most efficient and effective setups. We can design into your HVAC system whatever you wish, whether that is indoor air quality equipment, ductless heat pumps, or a specific type of boiler or furnace, Schmitt does it all. 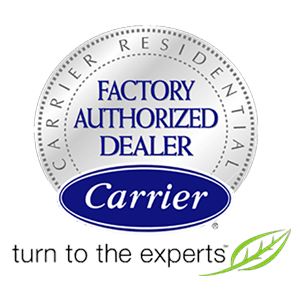 At Schmitt we are proud to be a Carrier Factory Authorized Dealer. Since modern air conditioning was first invented, Carrier has been at the forefront of air conditioning technology since then and continues to be the leading manufacturer of high-quality, efficient, HVAC and indoor air quality equipment today. 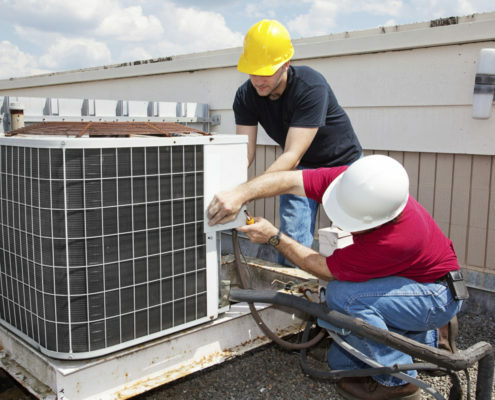 We are the leading installer of heating and air conditioning systems in the Bay area and have been for over a century. With that sort of longevity you can be sure that Schmitt Heating and Cooling has been providing quality work for as long as we’ve been in operation. Commercial or residential, we do it all. Smart thermostats are the newest technology in HVAC systems. 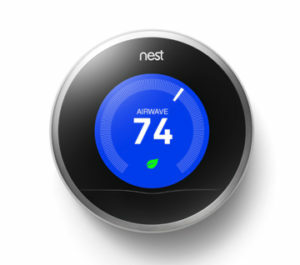 Nest was among the first to be introduced and made a splash with consumers as soon as it was. These thermostats will automatically adjust based upon the seasons and your life, saving you money. The Nest thermostat takes about a week for it to learn all about you and will then be running on its own. 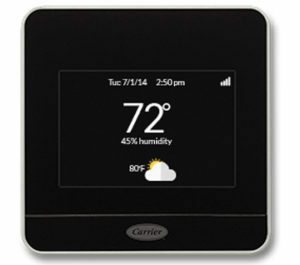 Carrier is always on the cutting edge in HVAC technology and smart thermostats are no exception. With the Cor smart thermostat, customers have greater control over their HVAC system and are capable of linking their tablets, PC’s and smart phones to it. With the Cor thermostat, customers save an average of 20% over a system run with a traditional thermostat.